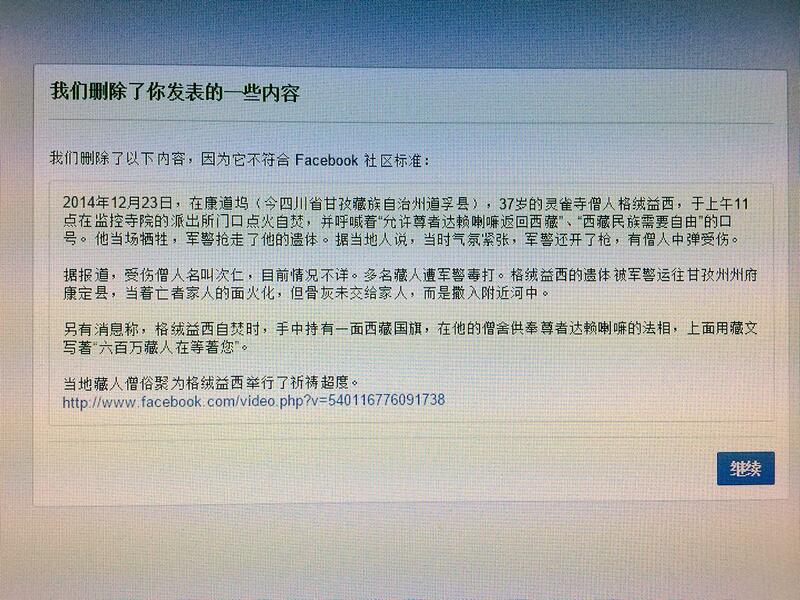 Facebook deleted a posting about Tibetan self-immolation. 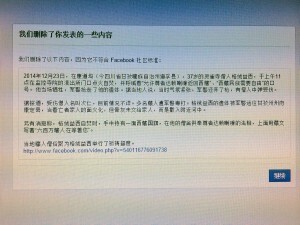 Facebook fawns on the Communist Party in China–Facebook Censorship. Tibetan writer Tsering Woeser posten a text with a video on Facebook, but it was deleted, and Facebook sent her one massage, says that her text violates the provisions of Facebook.